Community Blog by Headless97 // Was that game really "Good for its Time" or just bad? Was that game really "Good for its Time" or just bad? Most of us here have gone back to an old game that we used to play. Perhaps you dusted off your old N64 or found a title on GOG that you used to love. What was your experience? Have you tried to explain why a game was great to someone who wasn't there when it was released? It can be hard to make them see through your rose-tinted spectacles. Nostalgia has a strong affect on our opinion of older games but what if that nostalgia wasn't there? Were these games actually good? This blog is going to be a thought experiment; I'm going to make an argument for an idea that I don't exactly believe in but want to raise discussion about: a game was never "good for its time", it was just bad. There are some unfortunate things about nostalgia and bias that come to bite us during this discussion but I don't think that they should be avoided or disregarded. Rather, I think they are an essential part of the idea, so I'm not going to hold back my bias or nostalgia for this blog and neither should you in the comments. It still plays so well! Games from the 8 and 16 bit era have the benefit of the modern indie scene to help us with their dated graphics; indie games often use deliberately retro graphics to evoke that bygone time. 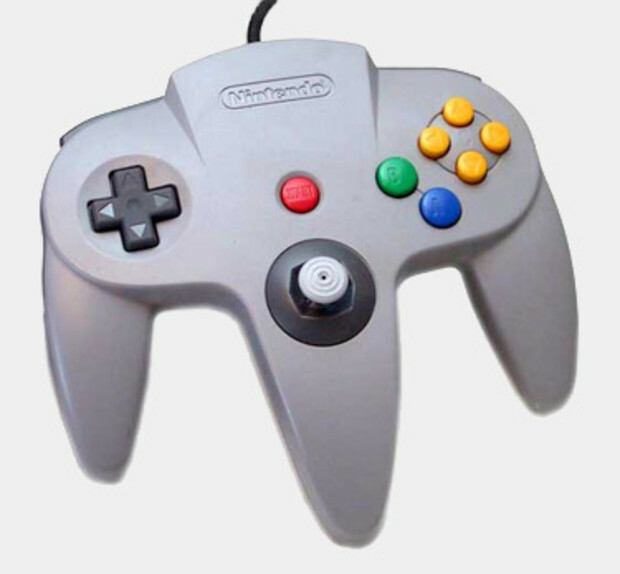 Even the simple controllers won't hold these games back because modern games like Super Hexagon, Super Meat Boy, and Jamestown use enough buttons to fit on a NES pad. So are the games from that era actually fun? To my mind, yes. 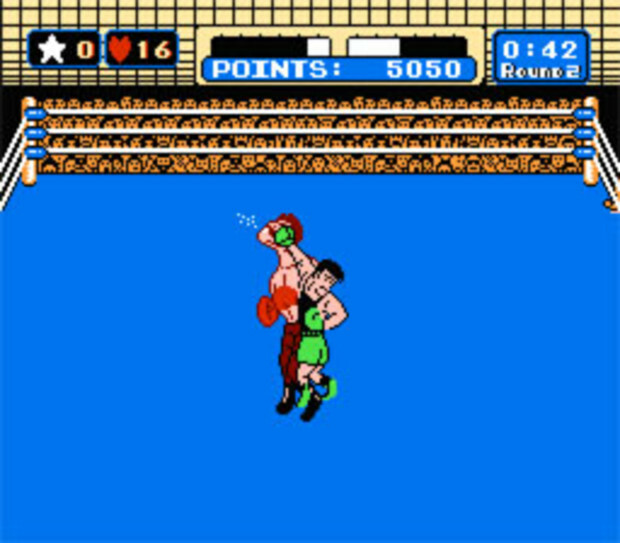 I was able to play a NES game I had never played before: Mike Tyson's Punch Out. The game was fast and smooth, with comfortable controls and a sharp visual style. The boxing matches played out like rhythmic puzzles, forcing me to learn when to dodge and when to strike to win. Without personal nostalgia for a game as a factor, I went back to a game from the 80s and genuinely enjoyed it. 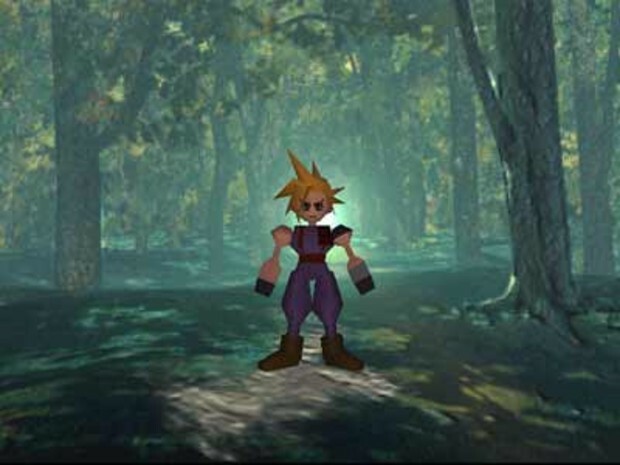 Early 3D games have it hardest, being generally ugly by any standard and being the guinea pigs to figure out how to control games in a 3D space.� We can talk about how Final Fantasy VII has ugly 3D models against realistic painted backgrounds or the awkward cameras of every 3D platformer on the market. I was 5 when the N64 came out, so this part is going to be steeped in nostalgia. Two of my favorite games were Star Fox 64 and Perfect Dark for the Nintendo 64. Both games are regarded as must-plays for the console but my drive down memory lane was revealing: I don't like Perfect Dark anymore. Early 3D games had it rough. Point made. Let's face the facts. Both of these games have a lot of ideas that are amazing by any standard. I love that Star Fox rewards skilled players with secret levels and branching mission paths that reveal more of the story. Nintendo doesn't even condemn less skilled playes to a worse experience. The game still looks really good, mostly because its cast consists of anthropomorphic characters and the gameplay mostly shows spaceships. As a matter of fact, Star Fox 64 is one of my favorite games of all time, one that I still go back to an thoroughly enjoy. I've even learned new things about its story, making the game better than I remember it! 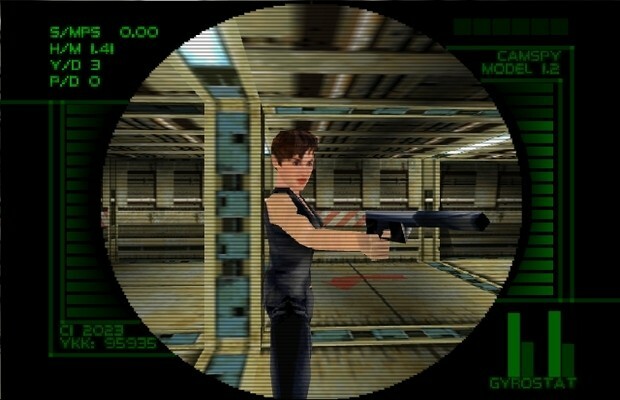 Perfect Dark has the player completing more objectives and exploring more of the environment when playing on higher difficulties, and also offers co-op, counter-op (where the second player takes control of a baddie), a hub level for training, challenge levels, and extensive multiplayer options. It has inventory system with items that actually interact with the environment for things like hacking and surveillance! It's a shooter-lover's dream, and by "modern standards" the amount of content is incredible! Over a decade ago, this was cutting edge. So why do I not like Perfect Dark? Most of the games 32 original guns are variations of machine guns, though there are several interesting (and unfair) weapons and secondary firemodes in the game's arsenal. Technically, it is bogged down by framerate issues, laughably bad animations, and terrible controls. I can't stand the auto-aim, which can't keep up with basic movement and has me to waiting to get a good shot when I could have shot him myself long ago. Yes, it is a single-joystick shooter, but is that really an excuse? Toning the shooter experience down a point to make it functional on one joystick took out most of the skill and fun derived from FPS games. Even reviews of the HD version released for the Xbox 360 told people that this game is for fans of the original and that new players might not understand or enjoy it. Even entering the 6th generation shows a stark difference in what I consider to be good today and what I remember enjoying. I still absolutely love Super Smash Brothers: Melee and Ninja Gaiden. TimeSplitters was one of my favorite games but I find the gameplay of TimeSplitters 2 and Future Perfect to be rather dull and all of the weapons tend to feel the same. Star Wars: Rogue Leader was the first game I bought for the GameCube but I don't remember it being so unbearably slow. This makes me worried for other games I used to enjoy like Brothers in Arms: Road to Hill 30 or the first Forza Motorsport. I have become content to keep these games in the past for fear of them turning out worse than I remember them. I found myself measuring whether a game was enjoyable or if it was just nostalgia by being conscious of how I was reacting to the game and how long I elected to stay with it. Starting it up and playing a few levels before moving on and not going back is just nostalgia. If I felt compelled to go back to it the next day, that was a genuinely enjoyable game to me. Are there any games that you used to love that you just don't anymore? Are there any games that are better than you remember? Are there classics that you have never played before? Give them a shot and let me know what you think of them! I know why I play games. It is not just "because they're fun"; that's a crummy answer that doesn't really say anything. I play video games because all of my friends lived miles away from me, some even in other cities. What else can a poor boy do? I grew up on Nintendo consoles, having everything from the NES to the Gamecube at some point in my life. Now, I am a PC gamer with a reasonable Steam library, a love of GOG and indie games, and a mechanical keyboard by eMachines from a time before laptops were everywhere. The games I like generally have some immediacy to them - games that feel good to play or offer something that I determine to be satisfying. Favorite games in no order: Shadow of the Colossus, Mark of the Ninja, Dishonored, Star Fox 64, UT 2k4, F.E.A.R. I have many other games that I love to death, but these stand tall in my mind. Genres I could never understand or get into are turn-based RPGs, most MMORPGs, and Sports games.